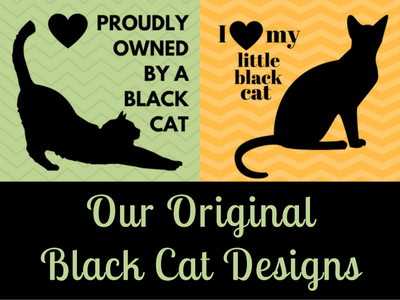 Designs just for black cat fans -- a dozen of our inspired-by-you designs on hundreds of gifts. 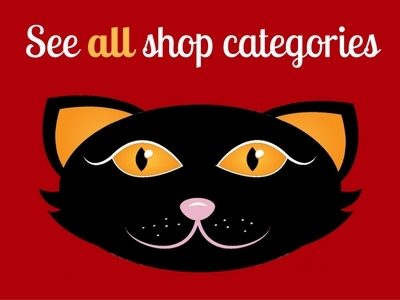 Shirts, mugs, jewelry...browse and customize your favorite! You can certainly use our main menu to get to the gift types you'd like, but this page has every category image on one scannable page. 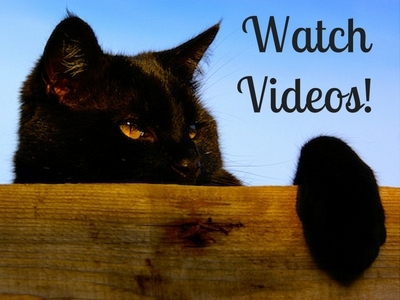 These are the coolest cats we know - the mod 60s retro beatnik hipster cats. And that's no lie, you dig? 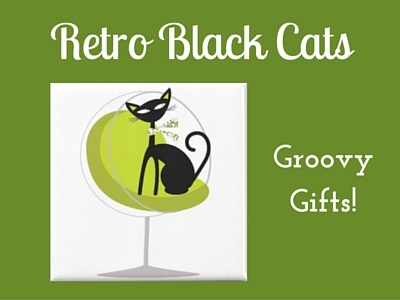 Shop cool retro designs here. 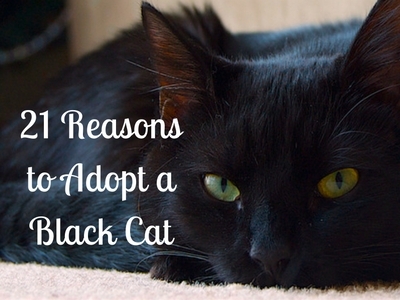 These 21 reasons will amuse, entertain and convince you to get your very own house panther if you're in the market for a new kitty. 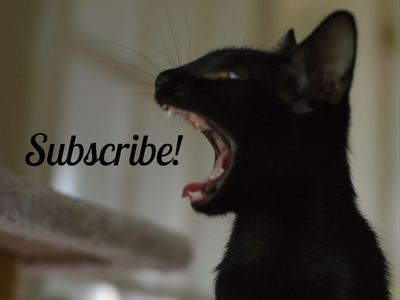 Be the first to find out about our latest designs, gift promos, and funny or inspiring black cat news, facts, and videos. "The Truth Behind the Cute." 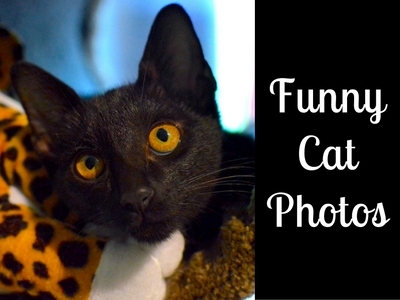 For every good cat photo there are about 50 that are terrifying...see for yourself. Who can get enough of these little inky black floofballs? Not us! 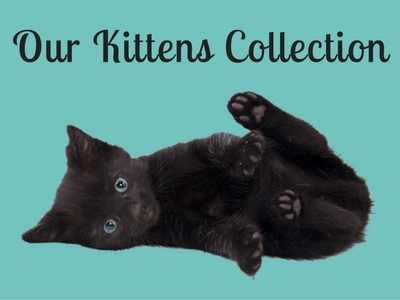 So we found our favorite kitten designs just for you. What's up with all the bad luck nonsense? 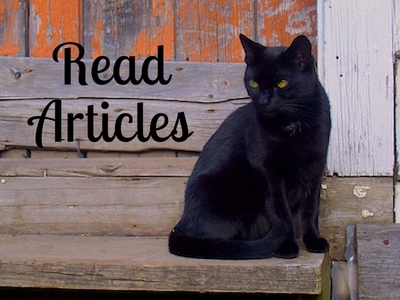 We explore this and all kinds of quirky facts about black cats in our collection of articles. 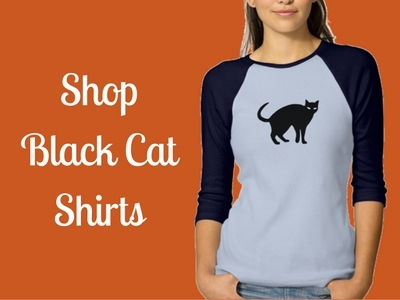 A fine selection of *customizable* black cat shirts for gals and kids. 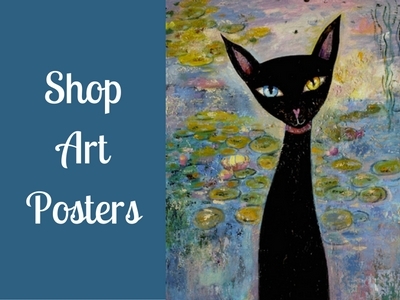 Sleek black cat art will class up any joint...take a look at our top poster picks here. 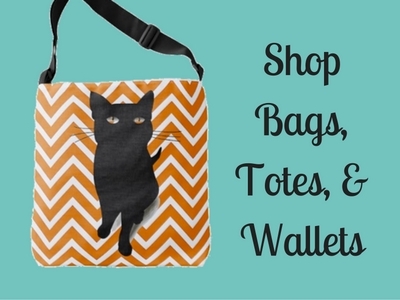 Neat and unique black cat designs on totes, messenger bags and wallets. Most feature custom colors and styles!